After accepting a job offer, the benefits department will send the new employee a New Employee Benefits Packet which includes valuable benefits information, instructions and forms they need to complete for the new hire process. The new employee must go to HR within 3 days of their start date to fill out the appropriate forms and be issued the form for the Employee ID card. 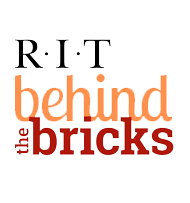 RIT's Onboarding website has valuable resources for both managers and new employees to ensure that your new employee has a productive and successful orientation to RIT. The search committee or hiring manager will need to create and keep records of all applicants reviewed during the process. A recorder should be designated for each meeting. Records help the search committee or hiring manager maintain consistent procedures which will protect the university from possible legal liability. The notes from screening meetings, interviews, evaluations of candidates and reference checks are important in order to ensure a fair and legal process. Records should also be maintained of all sources of information obtained about a candidate, including any reviews of social networking or other online sources. Notes from interviews, exploratory interviews, and reference checks are considered a record of the university, under the Records Management Policy, C.22.0. This policy seeks to ensure that RIT records, especially those that are required for compliance with the law, are retained for a sufficient period of time. These records are subject to the 6-year retention period for correspondence and must be forwarded to Human Resources. RIT's record management policy can be found here.